Patterson has a limited amount of tickets for sale for its 3A North region final game at Milford Mill on Saturday at 1 p.m. They will be on sale for $5 each today (Friday) in the gym from 3:45 to 6. It is first come, first serve. Tickets will not be sold at the door on Saturday. 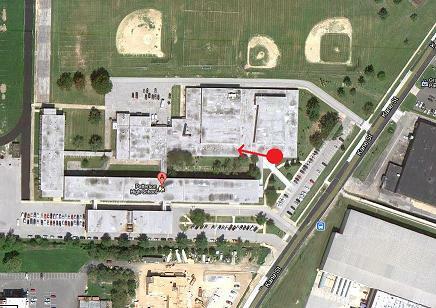 To access the gym, please enter through the doors marked with the red dot below and walk down the hall to your left.